At Massimo, we believe not all breads are created equal. Using only the finest ingredients, we take pride in bringing you wholesome breads, baked with Italian passion - ensuring every bite, from taste, texture to flavour - meet the exact standards of excellence of the Massimo brand and heritage. Our simple recipes for wholesome breads have found their way into the hearts and homes of Malaysians across the nation. Whether served plain or lightly toasted and savoured with butter or kaya, the goodness from a Massimo loaf is enjoyed daily by all. 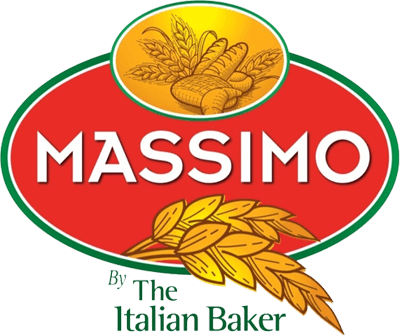 In 2011, The Italian Baker Sdn Bhd, a 100%-owned subsidiary of FFM Bhd introduced Massimo, a brand known for its high quality breads baked with unmistakable Italian passion. 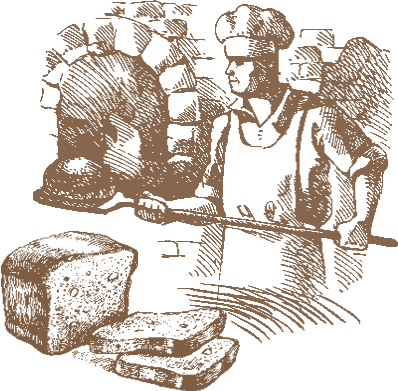 Using high-quality flour from FFM and other quality ingredients to ensure the same consistency and quality in every loaf, Massimo breads are baked under stringent quality assurance to meet the demands of today’s consumers. 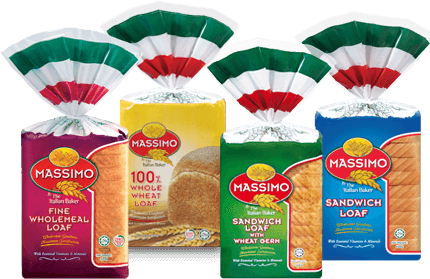 Built upon the tradition of providing wholesome goodness to all, today, Massimo bread is a must-have on the breakfast table of Malaysians. 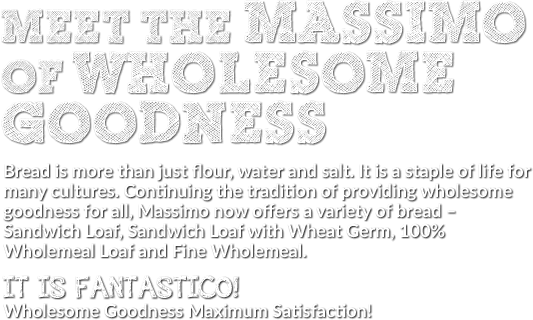 There is nothing like a good Massimo sandwich loaf with wholesome goodness to energise your day. The Massimo range consists of different varieties to suit different needs. Whichever you choose, you can be assured of the delicious taste and nutritional goodness that is Massimo. Wholesome goodness, maximum satisfaction. The name Massimo is well renowned in the world of Italy fashion and the very name in itself denotes luxury and prestige, synergizing traditional style with modern design. 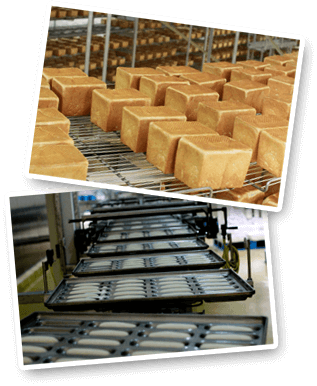 Similarly, the Massimo bread is in the class of its own superior quality bread bakes combining the tradition of the Italian human baking passion with modern days technique to ensure that is always retain that authentic fresh from the oven taste. 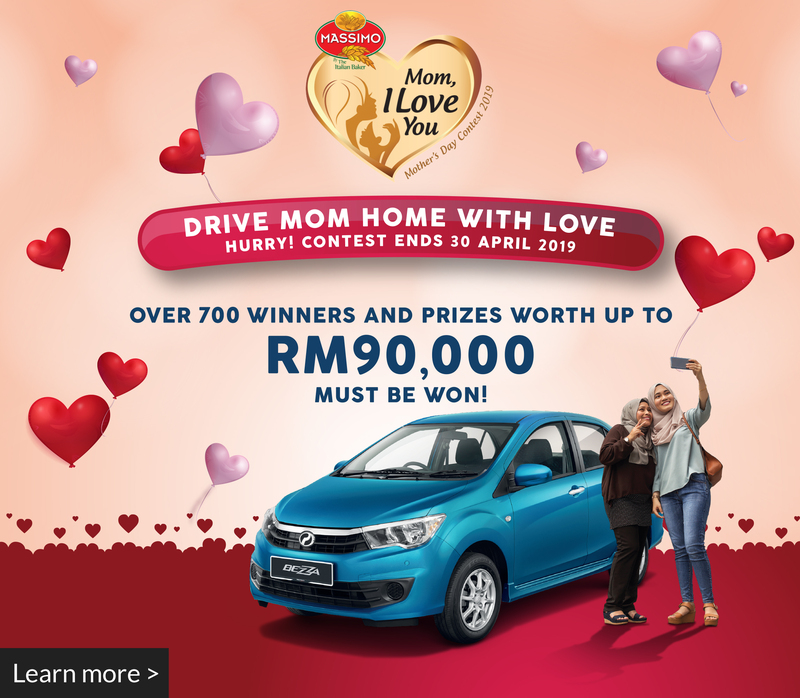 The name Massimo is chosen to be the brand name for the entire product with the tag line “Wholesome Goodness Maximum Satisfaction”.